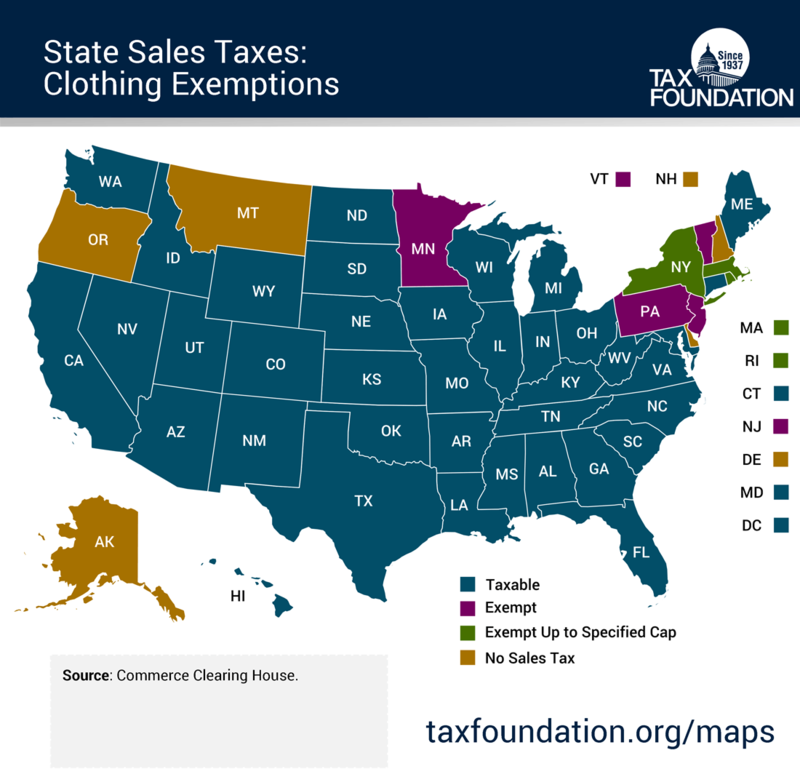 One example of the many sales tax exemptions offered by states is an exemption for clothing. Eight states fully or partially exempt clothing in general. Clothing is fully exempt in Minnesota, New Jersey, Pennsylvania, New Jersey, and Vermont. In three states, clothing up to a certain cap is exempt (in Massachusetts the cap is $175, in New York it’s $110, and in Rhode Island it’s $250). Connecticut will exempt clothing and footwear under $50 starting on June 1, 2015. The 37 remaining states (plus D.C.) with a state sales tax include clothing in the tax base, subject to a few exceptions. Ideally, the sales tax should apply to all final retail goods and services – including clothing. Check out this week’s map to see where your state falls. All maps and other graphics may be published and reposted with credit to the Tax Foundation.